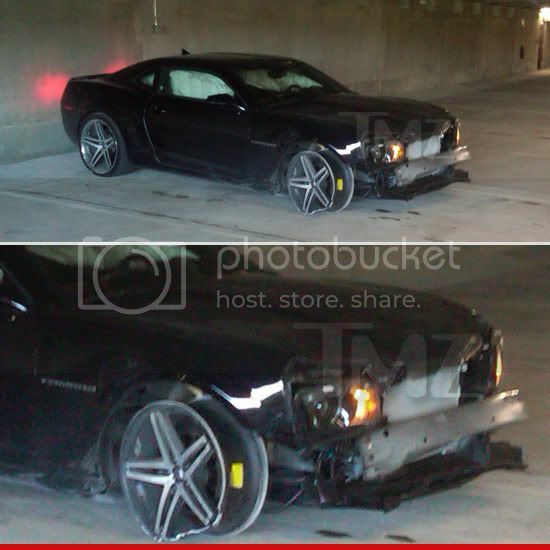 Bobbi Kristina Brown In Crash That Sent Car Off The Road - kaycee Weezy! Bobbi Kristina Brown, daughter of the late Whitney Houston, was cited by police after being involved in a car accident Wednesday in which the vehicle left the road and traveled down an embankment. Police in the Atlanta suburb of Alpharetta confirmed to ET that a passerby called 911 just before noon to report that the black Chevrolet Camaro had veered off the road and traveled through a wooded area, striking trees before eventually coming to a stop. Upon the initial arrival, officers say they found Bobbi Christina standing beside the vehicle and she was uninjured. "Our officer completed an official accident report and issued a traffic citation to Ms. Brown for the offense of failure to maintain lane," the police statement said.